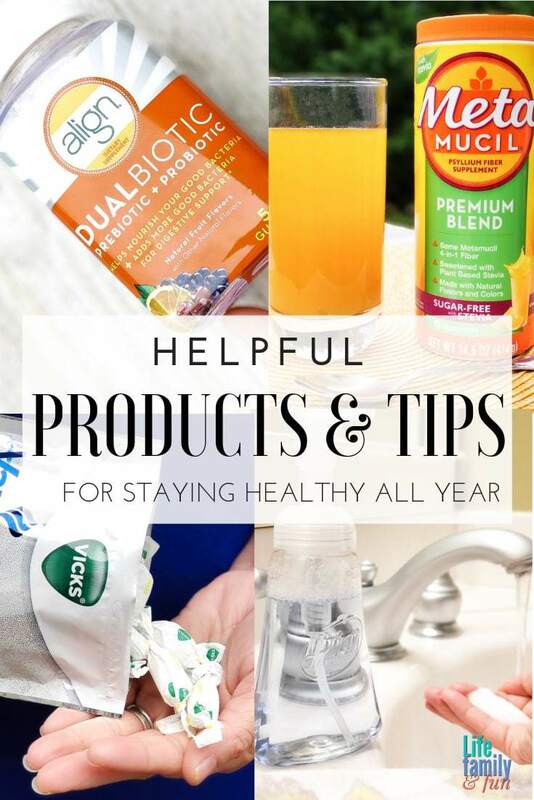 With the cold and flu season constantly happening year round, having products and tips to stay healthy is all year is a must. These helpful tips and products can help protect your health and keep those cold and flu germs at bay! I don’t know about you, but I’m always amazed at how cold and flu season seems to just pop up out of the blue. It’s almost a given that noses are going to be running, fevers are going to be spiking and throats are going to be scratchy and sore at any point in time, without any advanced notice. While these symptoms can be the tips, they don’t have to be the “norm”. Our household is busy, and honestly, we don’t have time to let these cold and flu symptoms constantly bog us down. This is why we’ve put our foot down in our home and have found products that we know and trust to help us fight the cold and protect our health. Keep in mind that you do have the ability to stay healthy all year! With these simple tips, your health can be better than ever! When your body isn’t feeling well, it can really affect all systems of your health and core. There’s nothing worse than having an “icky” or bloated stomach. 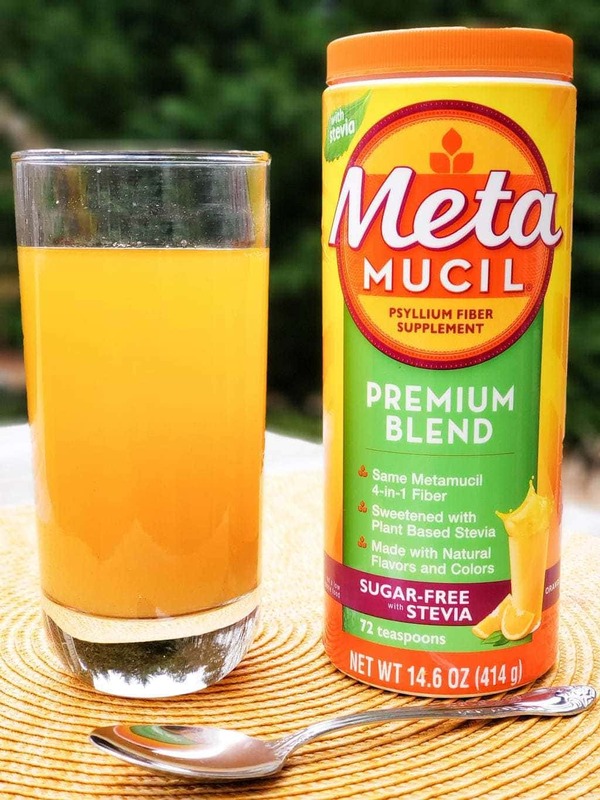 I keep Metamucil on hand at all times for this very reason. Studies have shown that when you’re digestive help is off balance, your entire body may very well be “off” as well. It makes sense, right? When your gut hurts, our entire mood and emotions are irritable as well. I especially love how it helps me control my appetite, so I feel less hungry between meals. 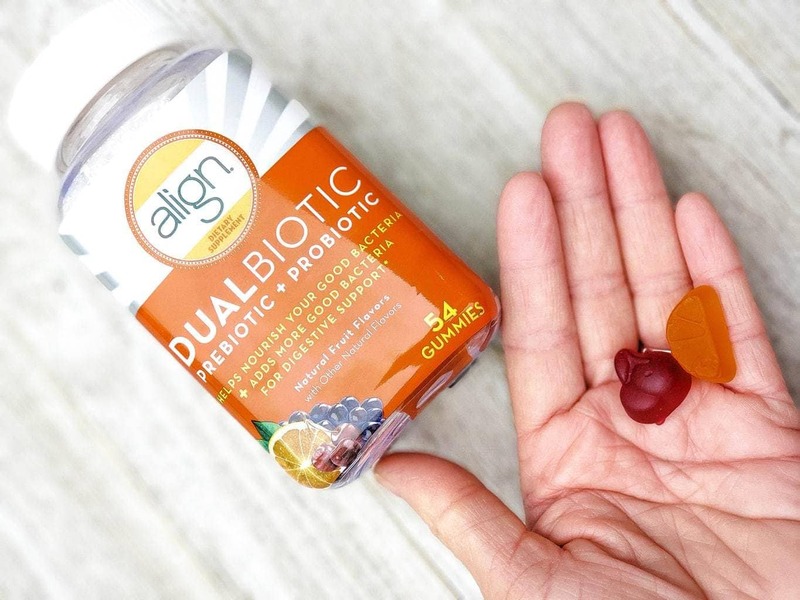 One other way to strip down the gut and help build it back up is to take an Align Dualbiotic Gummy. (who doesn’t love gummies?!) Just one or two gummies a day can help to improve your digestive system by nourishing the good bacteria that your body needs. These gummies are great tasting and only 1 gram of sugar. Taking charge of your gut health is the key to staying healthy all year long! It’s no secret that good handwashing is super important to stopping the spread of germs, right? Effective hand washing means that you thoroughly lather up your hands with soap and water, scrubbing away those germs immediately! In our house, we use Dial Complete Antibacterial Foaming Hand Wash. Literally, it’s at every hand-washing sink in our home. Knowing that it kills 99.99% of germs gives me peace of mind that everyone in our house has the ability to beat the germs every time they wash their hands. 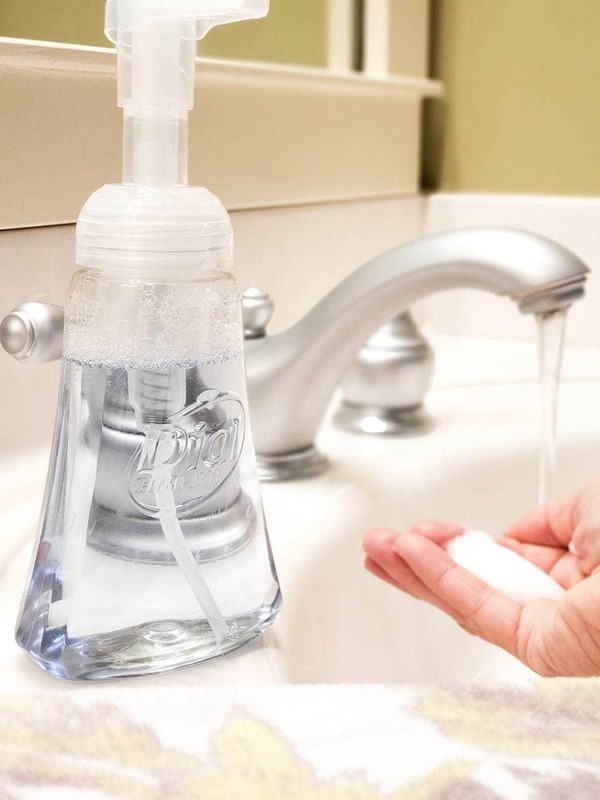 Simple hand washing is one of the best ways to prevent the spreading of germs! Staying hydrated is imperative to the overall health of your body. Often times, when you start to feel a scratchy throat, you may just be dehydrated and need to liquid up your body. While staying hydrated is important, keep in mind that if your scratchy or sore throat persists, it may be time to head to the store and purchase some Vicks VapoCool Drops. 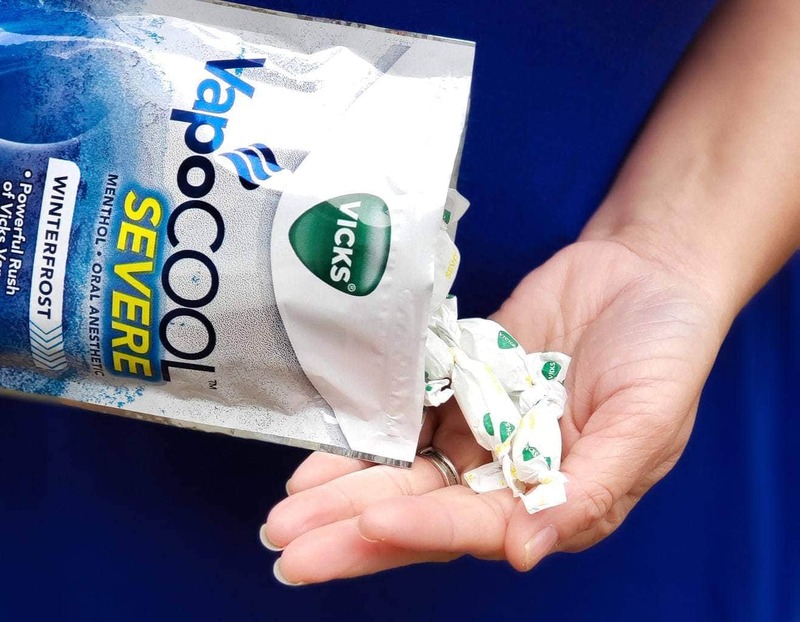 My house loves the cooling relief combined with the Vicks Vapors and we always have a bag (or two!) on hand. It’s no fun to have a sore throat, so anything that can be done to help ease a bit of that scratchy throat pain is important! Sitting down and not moving isn’t healthy at all. You have to think long term when it comes to your health, and a bit of daily exercise is the perfect way to make it happen. Go for a walk around the neighborhood, take your dog for a run, or just get up and get outside and do some yard work…whatever you decide to do, move that body as often as you can! Sitting around and eating junk food may be tempting…but it’s really not good for your health. Cut out the processed foods and instead fill your body and mouth with fresh fruits and vegetables. There are so many amazing health benefits and nutrients that you can get from eating raw and fresh foods. After eating healthy for just one week, you’ll be amazed at the difference that you’ll start to notice in your overall health. You may find that some of your health issues were being caused just by snacking on sugary and processed foods. Say goodbye to the worries of cold and flu, and take the first steps in protecting your health. While there are various tips out there, these 5 simple tips are ones that anyone can do! All the products that we keep in our house and use all year long are available at your local Walmart as well, which helps make your life even easier! In one simple trip, you can stock up your medicine cabinet at home with the essentials to support and protect your health all year long! Doesn’t Walmart make everything so convenient? The best way to fight a cold is to be prepared with the perfect products and tips to help aid you in doing so!